Mul Hahar Projects cranes Girders lift loads of up to 120 t making them the ideal solution for particularly demanding tasks and large spans. 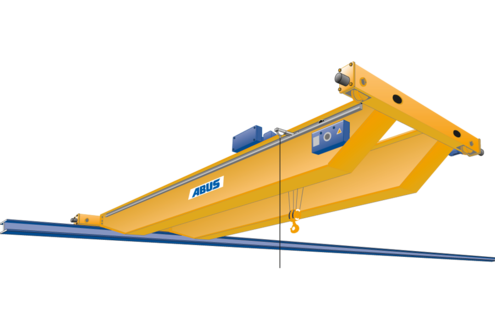 MUL HAHAR single girder travelling cranes guarantee optimal material flow even in situations where space is at a premium as in production plants or warehouses where there is little room for crane systems. MUL HAHAR single girder travelling cranes are available with rolled section girders or with welded box girders. 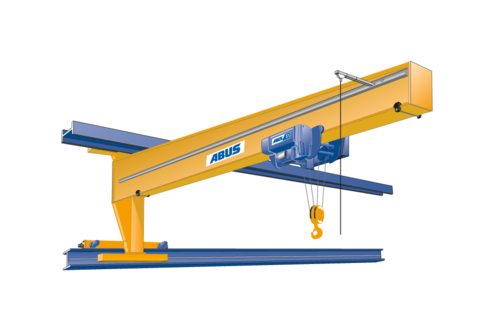 Thanks to different main girder connection versions, each type of crane can be optimised to minimise headroom and achieve the highest possible hook position. MUL HAHAR double girder overhead travelling cranes achieve the maximum load capacity of up to 120 tonnes. They are available in various configurations and feature the versatility required for additional requirements. It is very easy to implement higher crane travel speeds, service platforms, trolleys with walkways, and auxiliary hoists for example. MUL HAHAR underslung overhead travelling cranes offer solutions in applications where gantry tracks are fitted to ceilings rather than free-standing or building columns. Optimal side approach dimensions make it possible to use the maximum available building width. 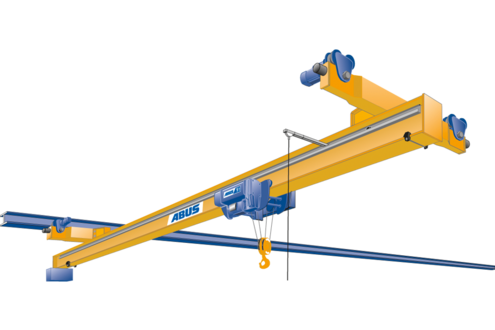 The MUL HAHAR single girder semi-goliath crane EHPK is particularly suited to the movement of goods of up to 10t at mid-level. 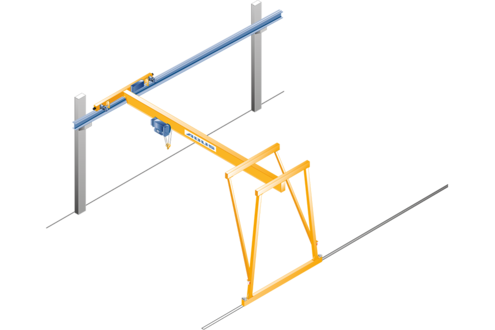 The EHPK also integrates smoothly into existing material flow systems: the upper end carriage travels on normal crane tracks and the lower end carriage does not require guide rails thus being free from any edges or hazards. Loading on the building structure is minor. A combination of obstacle recognition and rotating beacon make sure the semi-goliath crane is operated safely. 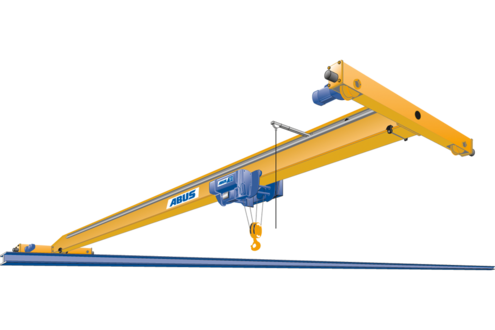 From the economic point of view this crane is characterised by comparatively low investment costs and can be installed easily and quickly.